Panhandling has been around for as long as we have. Someone less fortunate (or appears to be less fortunate) is begging for leftovers from others with compassionate hearts who empathize with the beggar and offer him or her money to help them with their plight. Of course, it is reasonable because you think to yourself, “What if I were in his shoes?” As you imagine what it would be like if it you were homeless, hungry and penniless. Wouldn’t you appreciate someone reaching out to you to offer a helping hand, maybe a little spare change or a couple of dollars to get some food? Just last week, I was at the grocery store, where a man was sat on the sidewalk next to his bike. He asked if I had $1.63 so that he could finish his purchase inside. I said, “Sure,” and dug out all the change from my pocket (which was closer to $3.00). He thanked me, and I continued into the store (where I expected for him to follow) as he peddled away on his bicycle. Not long ago, I was strolling down the street while commiserating with a minister, when we were approached by a panhandler requesting spare change. As I reached into my pocket the minister told the man that he gives his money to the mission, and gave him verbal directions to the location of the mission and invited him to get what he needs there. Then there’s the time that I took my son to the mission, in an attempt to see what life might be like, if he didn’t apply himself in school, enabling him to be gainfully employed. My son and I waited in line with all the other folks, which included men, women, and children of all ages. When we got inside he was amazed (and so was I) seeing the spread of good, hot food, fresh pastries, like a first-rate buffet at a restaurant. Dad tip: If you’re going to show your son how the impoverished life, check it out first, so as not to contradict your teaching opportunity. That said, what about you? If you were down and out – right now – what would you do? Okay, in an emergency, you might ask someone for a hand out for something in the moment, but chances are you would make a way to take care of yourself and your family. I met a man who washed the windows at my store. He lost his job when the factory shut down – which was a trend in his industry – he was on unemployment for a while, until that ran out. Rather than commit suicide so that his wife and children could go on welfare, he had some soap and a bucket, invested in a “nice” squeegee and went from business to business offering to wash the windows. He made his own way. 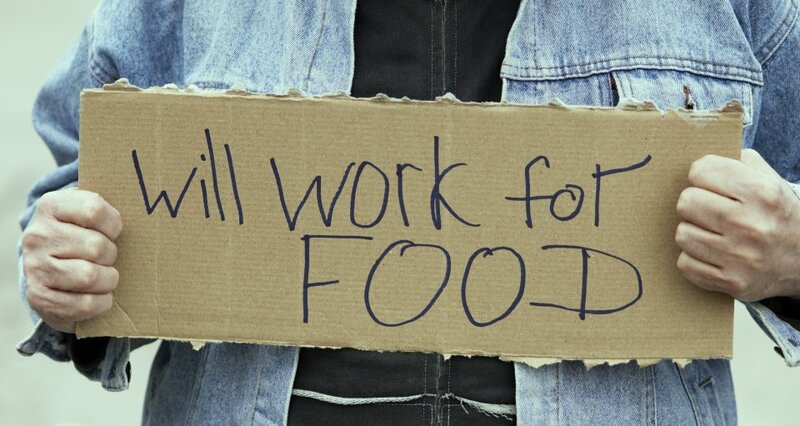 What do you think (or do) when you see someone holding a Work for Food sign? What would YOU DO, if you were down and out? The people I attract who become my clients are clearly not a part of the rest of the pack. They don’t fit-in with the majority of the folks who accept performing little more than their allotted function within our societal structure. 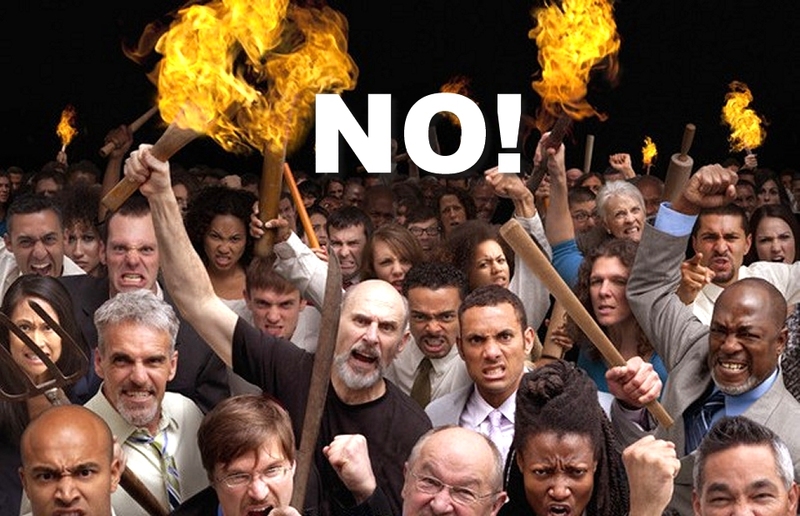 Individuals that I work with want something more… and they know (though they may not be able to put their finger on what it is) that something’s just not right with the widely accepted cover story. They suffer from what I call the Stranger-in-a-strange-land-syndrome (SIASLS). Something inside them intrinsically recognizes that there is so much more to this life than we are led to believe. These people are attracted to me because I, too, suffer from SIASLS, and to say the very least, we all feel like we just don’t fit in with the status quo. People who have SIASLS feel as though they are “Strangers” called to a higher purpose and function in this life. Fortunately, I possess a wide variety of skills and abilities that I offer my clients in their quest to achieve their highest and best, a small (but growing) percentage of these individuals fit somewhere among the SIASLS spectrum. Not fitting in: Though some Strangers can blend-in quite well, it takes a considerable amount of energy and effort to do so. Burning and yearning: A message burning within them and a yearning to share this message with the world. Service: Strangers have a desire to help others less fortunate, or struggling to get along amidst their life’s journey and may be more inclined to put themselves at risk for the greater good. Problem-solvers: Since strangers often can see things from a broader perspective, they have the unique ability to make connections that are not obvious to others, allowing them to come to conclusions and solve problems with creative solutions. A Better World: Belief in the possibility to experience a better world imbues them with the desire to do their part to help create a better world. Fulfillment: They seek to do what they feel is “the right thing” to do for them. Doing so gives them a more satisfying sense of fulfillment by being true to their purpose, calling and message. Freedom: They find it difficult to accept the socially accepted definition of freedom and believe that more freedom is available. Happiness: Strangers are intrinsically aware that feeling good exponentially can lead to higher levels of joy and believe it is within our grasp. Quality of life: They seek something more out of life than a good job and some retirement. Who Are the Strangers in a Strange Land? 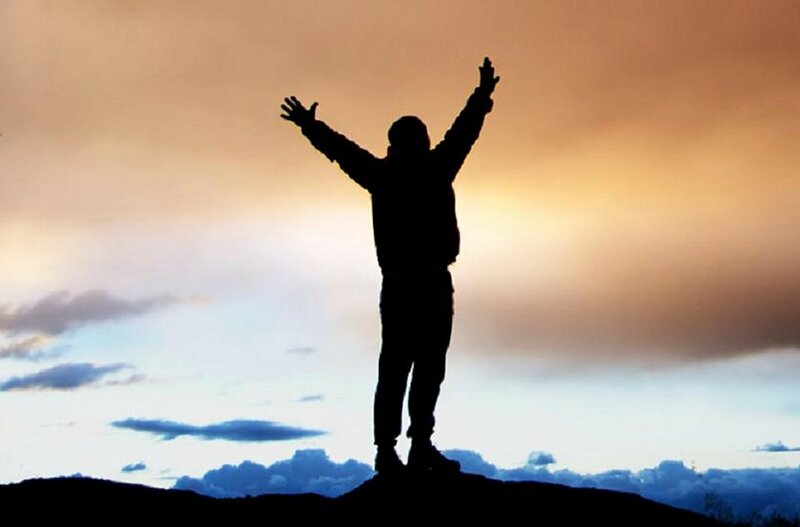 You find them excelling in professions that are congruent with the lives that they live, like Artists, Authors, Clergy, Entrepreneurs, Inventors, Motivators, Social workers, Speakers, Thought leaders, Visionaries… and a host of other occupations where they can feel free to exercise their unique skills and abilities. 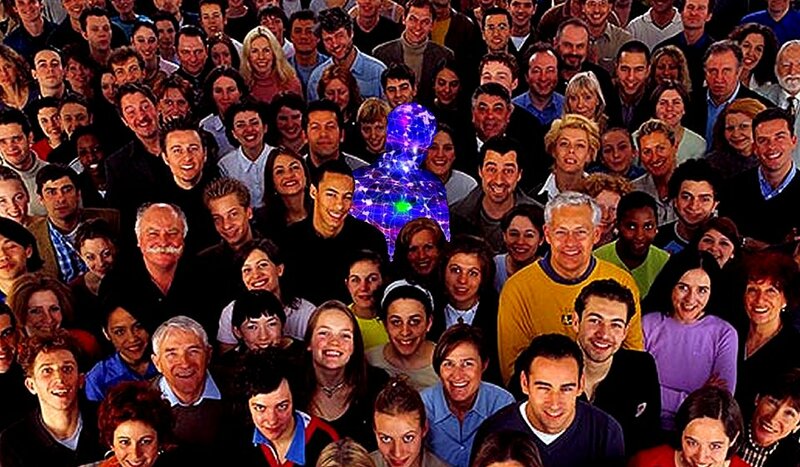 There are far more Strangers among us than we know. Their presence has been subdued by a life of social programming in an effort to help “make them normal” or encourage them to blend in with others. The process starts at a very young age and continues through life and is sometimes accompanied by therapy and prescription drug intervention… anything to squelch the Stranger within. I am so blessed in my work, when I am found by the hidden Stranger and able to help them to embrace their Stranger in a Strange Land and empower them to find peace and help encouraging them to sing their song. I love that spiritual growth is – and has always been – a part of everything that I do. I am so blessed to have started out in the spiritual growth business effectively coaching, consulting and counseling right out of the gate, following high school. As my life’s journey has taken me here and there, along a winding road including uncharted territory no matter what life circumstance prevailed, I have always been fortunate to exercise my life’s work: To help people achieve their highest and best. As my focus is favoring entrepreneurs, I find that the professional who are attracted to me have a similar vibration. While they all have very different areas of concentration, they are all individuals who are also on their own spiritual journeys. There appears to be a growing trend for entrepreneurs engaging in life from a spiritual perspective, conducting business, communicating and connecting with their audience heart-to-heart. It has been a long time coming, and I am pleased to see this transformation taking place. I am so grateful to have a wide variety of skills and modalities that help me to instantly address any challenges that arise in-the-moment so as not to cause much delay in the success paths in full swing in the lives of my clients. It’s as if those who have chosen to answer the call and pursue their life’s mission with passion and fortitude are more likely to encounter challenges and obstacles that other folks do not have to deal with (which could be part of The Greatest Conspiracy). These interruptions could be roadblocks, detours or bridges, depending on how you deal with them. They can cover all areas of life, including business, branding, marketing, health, wellness, and relationships that are professional, familial, personal and romantic. An individual on a path of spiritual growth has access to the power of the universe to overcome anything this life throws at you along one’s life journey. Which is one reason why spiritual entrepreneurs may experience more success than other business people. Those whose businesses include sharing their personal message of spiritual growth and commitment to impact the world share a common vibration with me as we work and grow together. I enthusiastically encourage my clients to sing their song and share their message with the world via printed word. And as I help them my clients achieve their business goals, we also continue to grow spiritually and independently, with common goal of desiring to have a positive impact on the earth, making our planet a better place and leaving a better world for future generations. As my ministry continues to grow, as well as those of my clients, I am seeing a metamorphosis take place as I see my opportunities to help more people continue to increase. I am seeing a trend of moving toward more group environments and less one-on-one clientele. In the last few years, I have been somewhat concerned that by limiting my ministry to serving individuals one-at-a-time, I have limited my impact. Encouraged by the growth of my clients, I am open to the opportunity to serve on an increased capacity. I have no preconceived ideas about what the future will hold, only that I am open to the growth and change, willing to take action as the door open and the opportunities unfold, revealing the new paths that lay ahead. In many cases, business owners seek out professional marketing assistance in their darkest hour. Unfortunately, they may not have the natural resources to repair the damage of going it alone without the proper marketing. In some cases, though, even when initiated amidst dire circumstances, when viability hangs in the balance, marketing can add new life to the struggling business saving it from demise. I enjoy working with businesses on both ends of the spectrum, though there is a certain sense of heroic satisfaction that comes from being able to help an entrepreneur in his darkest hour, I would rather the independent business owner could have known that marketing should have taken priority in those earliest of startup days. It is difficult to start a small business in bootstrap fashion, especially when the owner is reliant on a portion of the proceeds to support his or her self and/or family. This causes an extra drain on the business’ potential of being able to support itself in those early days. This is why most businesses fail in the first year and many more by year five. In most cases this could have been avoided by bringing operation and marketing costs into proper balance, allocating an adequate amount of resources dedicated to establish proper marketing (including branding efforts). Also, novice business owners are not always cognoscente of the intricate details of their cash-flow. If not monitored adequately, revenue can evaporate and the cause may never be known. A general understanding of current digital media platforms can be greatly critical to the financial health and wellness of a startup – or an existing business – for there is not better return on investment, due to the low cost, if one’s digital marketing program is somewhat effective (and is not squandered). Certain care must be taken to assure that the business owner is not lulled by the latest bells and whistles, only by constant and meticulous testing and tracking can one discover what works – what doesn’t work – leading to even more testing and tracking. Fortunately, the many of the digital platforms (like Google and Facebook) have tracking systems built-in to monitor their performance and specifically select prospects with the precision of a surgical laser. If you are a current business owner, you likely have received telephone solicitation from Google (or telemarketers posing as Google representatives) in an effort to help put your business on the Google map. There is normally no charge for the assistance offered by the “Google representative,” in an effort to build a relationship with the business owner (or mark). Once trust is gained, the scam ensues. Unfortunately, the digital landscape is littered with pirates and criminals who engage in this type of fraud due to the ignorance of less-Internet-savvy entrepreneurs. (This is nothing new; I have wasted lots of money on advertising schemes that promised impossible results thanks to an aggressive ad salesperson, back in the day.) So beware, there are sharks in the waters. You must set aside a portion of each dollar that your business takes in earmarked for marketing; to not, is entrepreneurial suicide. Yes, there is the one out of a thousand (more like one in a million) business successes that inspires such a story. Realize it is the exception – not the rule – and is not duplicatable. This more actively represents what I call Lightning Strike Success (which can be a valid strategy, if you’re ready). 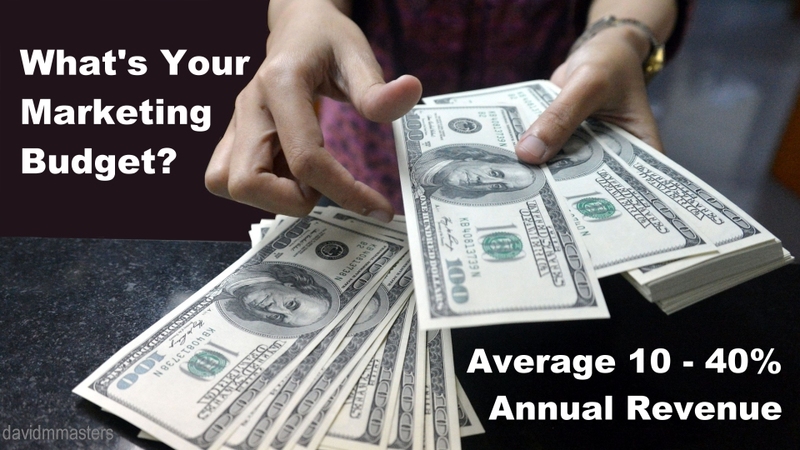 If you haven’t done it yet, evaluate how much of each dollar you are spending on marketing and make sure this portion is commensurate with what your business success expectations are. I had a chat with God and told Him I want to know what it’s like to be one with my soul mate. As the story goes, I saw her at the reception, the whirlwind romance ensued and many years of happiness and bliss were the result. And in a moment… that moment had passed. Ended up, what I got was not exactly what I wanted but for a moment I had what fulfilled me. What? Is this a lesson in mediocrity? 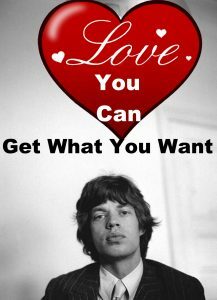 Look, Mick, I love you. But I believe I can get what I want, especially if it’s for my highest and best. Just have to reevaluate and restate my case. I am attracting a partner with the same capacity for love that I have… not expecting anything less than I am willing to give, in an amazing woman who is traveling in the same direction that I am headed in this life’s journey, so that we can do this thing (life) together hand-in-hand, supporting each other, for the remainder. Thank You, for I know it is already so. Sounds like a tall order? It’s not for everyone. This is just me. You have your own calling for your highest and best, that is perfect for you. So, I’ve been holding out for just the right person who is my highest and best… I am being patient, observant and diligent. Her journey to me must be an interesting one, because she sure is taking her time, and it’s starting to cause concern for others who love and care about me. Friends and family are starting to freak out, claiming that I am too picky and need to compromise to, “get what you need,” so that I can get on with my life and not be the only single guy at group functions. Yes, I have a list of attributes that I find desirable. (Wouldn’t it be silly not to?) Without such a list, how would I even be able to recognize her when she gets here? Hopefully, she has a list, too. Besides romance, Mick makes reference to being willing to publicly make a stand for what you think is important and people with failing health. You want a better world? You can have it. You want to be healthy? You can have it. You don’t have to settle for what you need. You can have it all. You can be, do or have anything you want. Wouldn’t it be great if the two of you were the only ones your breakup affected? Reconciliation can be a bit more problematic due to the effect that the breakup had on others. Not only are the two of you seeking counseling, being brutally honest and open, while trying to embrace forgiveness and building trust and a strong intimate, loving relationship, but you have to manage the impact the breakup had on those around you, mitigating the damages that occurred between the breakup and the reconciliation. It is likely that you reached out to friends and family for support, while dealing with the emotional trauma associated with being dumped by the love of your life. What starts out as well-intended, therapeutic banter and meaningless falderal ignites violent rage (which is better than self-loathing depression) as emotions run high and statements are made that would never had been made if there was the slightest glimpse of hope for reconciliation. How do you explain to your friends and family that the person who did you so wrong (whom you’ve depicted as a monster), is now back with a smile and handful of flowers? You would expect nothing less than a tongue-lashing for jumping back into the fire… and while you may be more accepting and working toward building trust again, your friends and family do not want to see you hurt again and are less likely to welcome him (or her) back with open arms. Some of your friends might even perceive that your reunion with your ex- is an insult to the integrity of your relationship with your friend. In this case, your friend(s) might think you’re better off with other friends, as they start to distance themselves from you as you might be seen as a toxic relationship. After all, helping a friend recover from a traumatic (or abusive) relationship can exert a great deal of energy, leaving the friend/helper exhausted, depleting their own natural resources – which is acceptable if it helps to save the life of a friend – the sacrifice seemingly disregarded, if the offender returns for more and you let them. Were promises made by the fleeing ex- to friends and/or family that were broken upon abandonment? What about the children? Were delicate young lives affected by the break-up? What affect did the broken relationship have on them? That’s only the half of it. Of course there are his friends and family. God only knows what he told them about you while the two of you weren’t together. Romantic relationships are hard enough; add to that the affect they have on many of the people within our social circles, especially those within our inner circle, and the relationship reverberates and ripples throughout our other relationships. The rebuilding of the relationship with each other will also mean both of you will be rebuilding relationships with the other’s others in an attempt to regain trust and faith among family and friends (even if you did nothing wrong). It’s better to ask yourself this question BEFORE you attempt reconciliation, because the last thing you want to do is to exasperate the situation by dragging yourself and everyone else through this nightmare (or possibly a worse one) again. Be certain that you’re not settling for the sake of convenience. And maybe you need more friends, like me, who will support you – no matter what you decide – we will be there for you. It’s up to you to figure out if it’s with the person who betrayed you? Or is this a distraction that will keep you from the love you deserve? 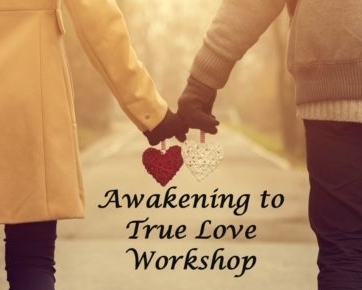 If the two of you share an uncompromising love for each other and are willing to endure what it takes to successfully heal your relationship, this could lead to your most amazing love story. I applaud all those who believe in and cast their vote for love everlasting. You’ve loved, you’ve lost, the sacredness of your love disregarded, broken trust, betrayal and the lover that left you has returned. When your ex- comes knockin’ do you send him a-walkin’? First off, you must wrap your head around the idea that if your former lover left you, he or she will likely do it again. Statistically, this is the bottom line. If 9 out of 10 exiting exes tend to exit again, do you think yours is the 1 out of 10 who will return to stay? Only if you believe he or she is “the one” (out of ten) then you need to saddle-up and get ready to give it another go, else-wise he or she gets the ole heave-ho. Identify if you and/or your partner, are serial breakers. Some people actually attract the on again/off again relationship style and have an odd affection for all the drama that comes with it. If you and your partner are both okay with that, there is no need to read on. There is a tendency to entertain the impossible romance for a variety of reasons, maybe you only remember the good times, being with someone familiar is better than starting over, after the breakup your self-esteem may have been sinking or you would rather be with someone than to be alone. These are only some of the unhealthy reasons you might be compelled to allow someone into your life who is likely to disappoint, leave you and break your heart again. There are also healthy reasons that you might consider reconciliation, like truly having an intimate and loving relationship (that goes both ways), maybe the breakup was due to circumstances beyond your control and were not directly connected to your romance and/or sharing children and working together for the common good, amongst others. If you’re to have any hope of a successful reconciliation the one who left should be remorseful upon re-entry. He or she must be willing and able to recount their departure, explain why they left and genuinely regret their decision to leave. You should be able to “feel” their regret and they should cite some reasons that they believe that he or she would not walk out on you again. Can you learn to trust him or her again? Does he or she have a history of bailing out on previous relationships? Did the break-up happen due to a lack of love in the relationship? What does the returning ex-lover expect to gain from reconciliation? Don’t second-guess yourself. Most jilted lovers will turn their attention inward, asking themselves, “What did I do wrong?” even escalating toward levels of self-abuse. Stop it. You didn’t bail on the relationship. As you move forward it may be wise to consider enlisting the aid of a therapist or relationship coach to help increase open communication, evaluating issues that may have contributed to the break-up and resolving those issues. Both parties must review the past, determine what can be changed also be willing and able to make the changes necessary to increase the odds of maintaining and sustaining a long-term romantic relationship. If you are unable to resolve your differences, there is the likelihood that there is another breakup looming in your future as you wait for the bomb to drop. When someone returns, who has turned their back on you previously, it could be an opportunity for you to grow and expand in your own self-confidence and consciousness. A firm, “thanks, but no thanks,” may be an appropriate response validating your desire only to surround yourself with people and circumstances that support you, your highest and best life from this point forward. What can you do when someone breaks your heart? When it comes down to it, you only have two choices: to try to salvage the relationship (or what’s left of it) or to walk away from it altogether. The fact of the matter is that people in relationships do not always have the best integrity. They keep secrets, fail to disclose specific details about things – including their true feelings – and misrepresent their level of commitment and a host of other lies and deceit. Two people, like that, are a perfect match for each other. The problems arise when you have one integrous person, and one who is not, in the same relationship. At some point the relationship will experience a great deal of conflict and some of the incongruency will be revealed, leaving the other feeling betrayed and suffering from a broken heart. The reason is because you wanted to believe the love that you had for the other person was being returned in kind. You projected your love on the other person, when in reality he or she was unable to do so. Why? Because of all the benefits that come from loving and being loved. We project our lovingness onto them because receiving (or believing that we are receiving) the love we are giving gives us the benefits of a feeling of belonging and being treasured which actually makes us healthier and happier enabling us to live longer, with higher quality of life. Truth be told, most (if not all) participants in a romantic relationship (even the most integrous and loving ones) maintain some level of deceit. It’s as though there is a righteous kind of deceit that has no intended malice, but is an effort to honor the feelings of the other person. In fact, most successful relationships are comprised of a complicated blend of honor and well-intended deception. Because even though you may have loved the other person with all your heart, chances are you, too, have not been completely honest and open. If you have… it is somewhat more tragic, nonetheless, you’re still at the same juncture. If the other person has left, there is little you can do but to let them go. There is a delicate thread that separates seeking reconciliation and obsessive stalking (which there are laws against that could carry legal ramifications including jail time). If you are left alone, be mindful that true love is still seeking you (though you may not feel like it at the moment) and you will be rewarded for your diligence, if you become the love that you seek. In the event the former lover returns in an attempt to re-establish their romantic relationship with you, proceed with caution. Is it possible to establish trust again with someone who has betrayed you? There is no doubt shut-ins, single people living alone, persons in advance age and those suffering from declining health conditions all benefit from the unconditional love from a dog or cat. Although having a pet is like having another family member (which is a good thing). I know some people, when finances are running thin, the pets come first; the special food, veterinary services or whatever the pet needs for a good quality of life takes precedence. Not unlike the care and consideration one would have for ones own offspring. Feed the kids (and/or animals) the good stuff and I will sacrifice and eat from the dollar menu, when times are tough. Not being able to financially take on and meet the needs of having a pet as a companion can prevent one from embracing the idea of adding a dog or a cat to their home. While millions of perspective homes are available and human hearts yearn for having a pet as a companion, millions of dogs and cats are euthanized because we don’t have the resources available to house them and care for them while waiting for someone to adopt them. Why not rescue the animals on death row and the humans who would enjoy a higher quality of life with them? I would love to see Ultimate Pet Rescue (UPR) buses traveling around cities all over the world. The UPR buses would be modified and redesigned; removing seats and replacing them with pet transport cages. Busses would travel weekly, beginning their journey by loading up dogs and cats from death row onto the busses. The busses would travel to locations where potential recipients are located. Good matches would be found for both pet and new pet parent. The non-profit UPR organization would provide food and veterinary care to assure the quality of life for the pet, without burdening the pet parent’s resources. This basic concept is ripe for harvesting today. You can help to make the world a better place by initiating the Ultimate Pet Rescue program today. I would do it myself, but my plate is too full at the moment and this action must be taken at this time as the lives of so many people and pets are at stake. I am sure that the right person who has been called to accept this mission is reading these words, right now. 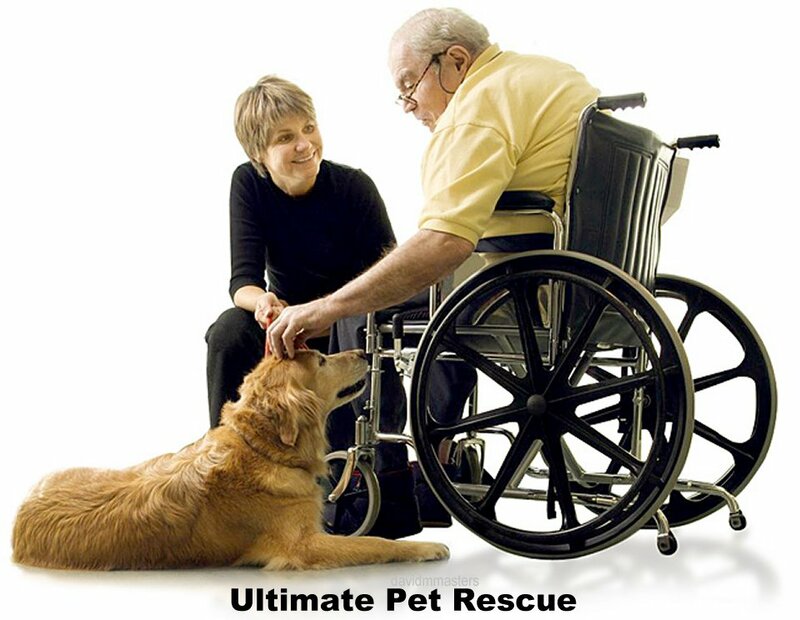 You are checking to see if ultimatepetrescue dot com dot net and dot org are available (and they are at the time of the publication of this post) and you are ready to take action. And I will support your efforts to make the world a better place by answering the call. Once you have taken action and are ready to announce the Ultimate Pet Rescue to the world, let me know. 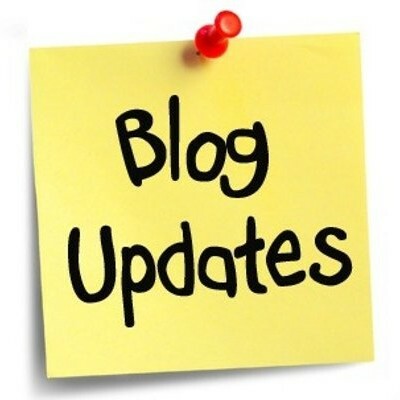 I will help you make your announcement and post an update to this post about your efforts. Ever notice how friends seem to come and go throughout your life, yet others… Appear and reappear at various intervals… and when you get together it’s as if no time has passed as you slip right into the loving and caring relationship where you last left off? People don’t seem to create the same kind of lasting bonds as they used to. Sure, it can instantly connect us to family, friends, acquaintances, business associates and people from our past. In regards to connecting in this fashion, the medium is priceless. I even use it to be engaged in the lives of my family and kids, somewhat closing the gap of separation by geography. The electronic medium is instant – and delayed – all at the same time. Someone can post something in real time, and the viewer can view and/or comment at a time that is convenient. In these respects social media is a huge upgrade to our lives on planet earth. On the other hand it leads to deterioration in the level of intimacy in social relationships. Friendships are more superficial, as there is less one-on-one face-to-face intimate communication. There is less opportunity to open-up, trust and remain unfiltered in true heart-to-heart communication. Which turns out to create a greater need for counseling, coaching and consulting; and even these areas are beginning to move from offices to streaming via electronic mediums. My earliest friendships date back to my childhood; from frolicking and playing (Dog-pile!) with my young friends, out in the open, walking the streets, hiking trails, splashing in streams, playing in the woods… Having fun and exploring; bonding, without supervision, without fear (except the fear of getting in trouble for not honoring the rule of heading for home when the street lights turned on). Other friendships were forged in between classes from grade school through college. While in-person training is still the accepted model in public schools, there is a growing trend amongst greater education (starting to infiltrate high school) to telecommute or attend via Internet. Not having downtime in between classes, does not allow potential for developing a deep level friendship. Two men sitting at the bar communicating with each other via text and over social media. I realize I’m sounding like an “old person” right about now, because the times they are a changing. The changes have me concerned about the future. From this perspective, I see the world moving to a place where meaningful relationships are much less meaningful and are superseded by a new model of social connection that – while very connected – is completely disconnected. 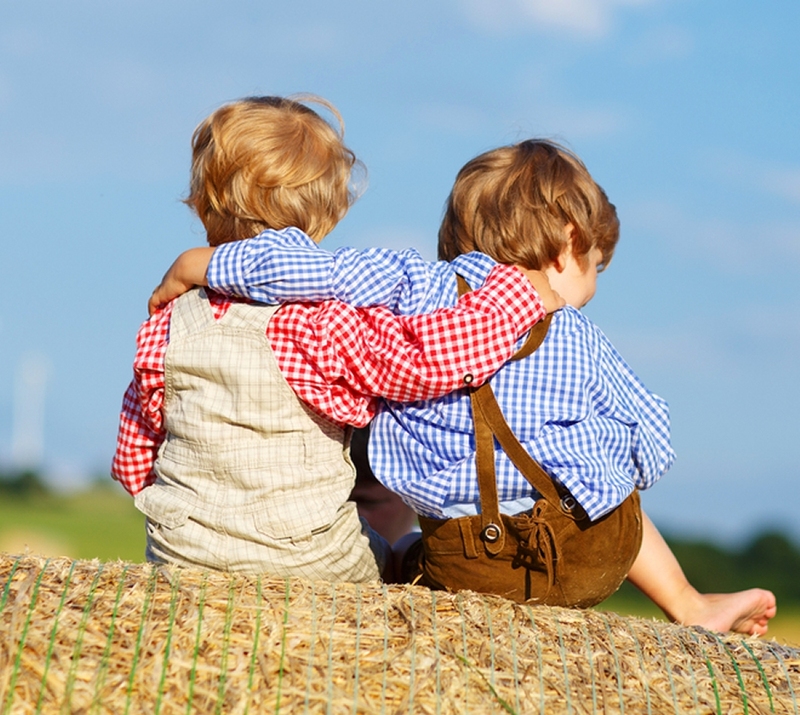 Will our children’s children be less likely to have meaningful connections (true friends) with other individuals? Will there be a growing trend for us to further imprison ourselves, crawling deeper into our homes and only connect electronically with the outside world?